If you want to make your gift meaningful, made a gift by yourself may be a wonderful idea and Scrapbooks help you, Love needs to express! There are so many memories that you may want to keep, to store, to share with family mumbers, friends and Express your thoughts and feelings with embossed expressions like "Live, Laugh¡±, ¡°Love", "Friends", and " Memories". 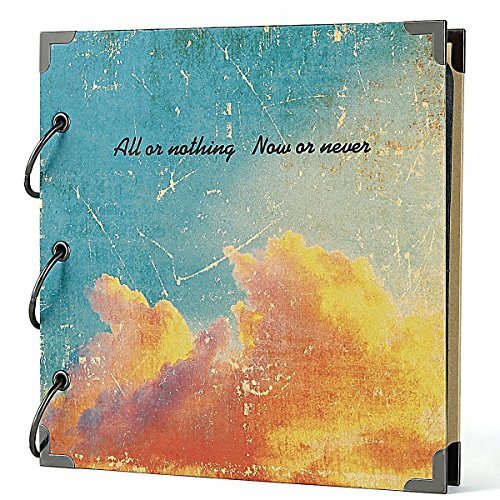 To fullfill the both, you may want to diy a photo albums, pick the happinest, most joyful,unforgetable moments which recorded on photos, decor it with scrapbooking supplies you carefully selected, come with your innermost thoughts and feelings,Whenever a festival coming, a DIY gift will be so special and the most touching thing,let it be a wonderful and precious gift which worth collection! Opening ceremony,Birthday,Awards ceremony,wedding,bussiness gift,Advertising promotion,Christmas gift,Valentines Day,Christmas,Anniversary,Mother's Day,Birthday,personalized gifts,Thanksgiving day and so on. Hand made personalize scrpbook photo album,Love diary,trevaling diary,Baby growth record,Family memories,works collection,Life experiences,creation gift.